So apparently it’s October 2017 already. DiXiT has officially ended a month ago, and it’s been six since the end of my fellowship. How did this happen? Is DiXiT really over? 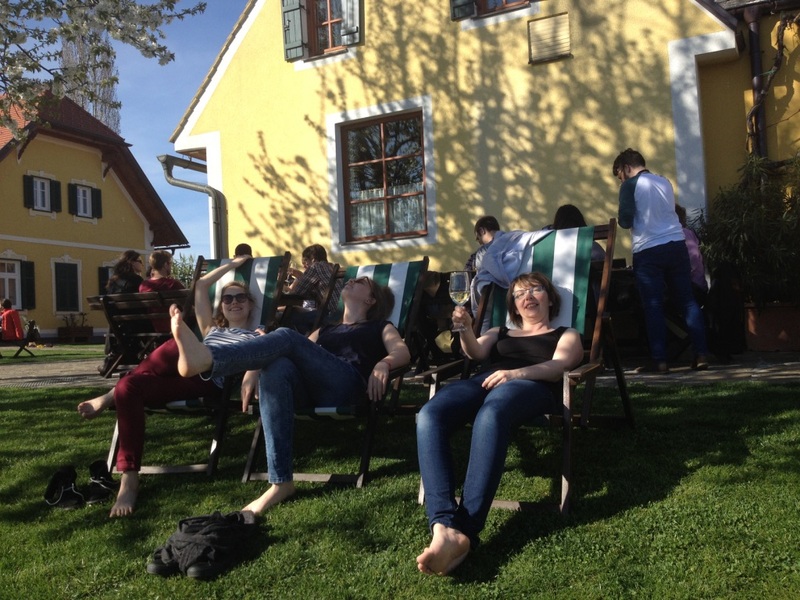 Thankfully, re-reading my co-fellows’ final DiXiT blogposts (by Tuomo, Frederike, Misha, Roman, Elena, Linda, and Merisa) seems to suggest that it isn’t – that the network may survive after the funding has stopped. In any case I’m looking forward to continue collaborating with these wonderful researchers who have become both colleagues and friends in the last couple of years. I say ‘couple of years’, but as an ER the actual duration of my fellowship was especially short: a period of exactly 12 months, starting in on the first of April in 2016, and ending on the last of April 2017. But like I explained in my first DiXiT blogpost, I had already met most of the DiXiT gang before my fellowship started, by working at the home base of one of the DiXiT partners (the University of Antwerp’s Centre for Manuscript Genetics), and by attending the same conferences and workshops the DiXiT fellows frequented (and later: organised). I’m really grateful to my double-colleagues Elli and Aodhán for their generous introductions to the group, which ended up dubbing me an ‘honorary DiXiT member’ before I even considered the option of applying for one of the network’s yet to open positions myself. 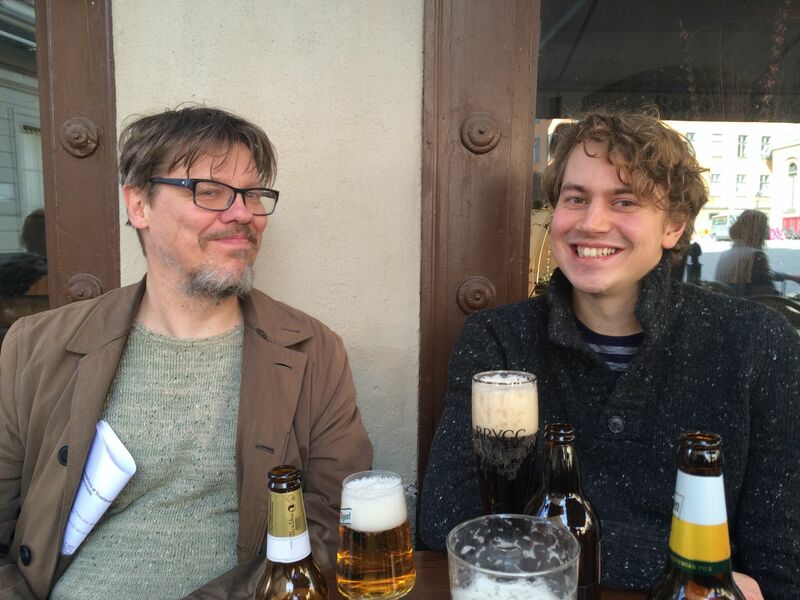 When my application of the DiXiT-ER position at the University of Borås’ Swedish School for Library and Information Science was accepted, there was at least one rather important person I was yet to meet: my future DiXiT supervisor Mats Dahlström. Of course I was familiar with his work (having made eager use of his Human IT paper Drowning by Versions in my dissertation), but we hadn’t met, except in the formal and pixelated setting that was my job interview. So I was very happy when I was finally able to meet up with Mats and Merisa about two months before the start of my fellowship, when I visited Borås on a visit to get the lay of the land. This time we took the plane, not the cargo ship that I would travel with a couple of months later (and that left me stranded in Gothenburg industrial harbor). We met in a bar (it wouldn’t be our last) where, as luck would have it, a pub quiz had just started. In Swedish, obviously. But we entered it on a whim, because it seemed like fun and if nothing else it might break the ice. Reader, we won the quiz! 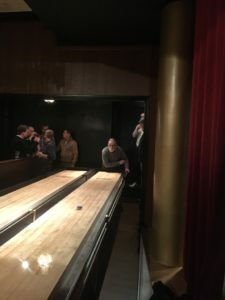 There was a little embarrassment when the Swedish quiz organizers mispronounced our team name (the ‘Dixiteers’) transforming it into something more vulgar, but overall it was a wonderful evening and the start of a great professional and personal friendship. Looking back, I have a lot of nice memories of my time in Sweden (like Midsommar, Eurovision, and Halloween get togethers, to name just a few) and I have my fellow DiXiT-SSLISers Merisa, Mats and Mikael to thank for that. 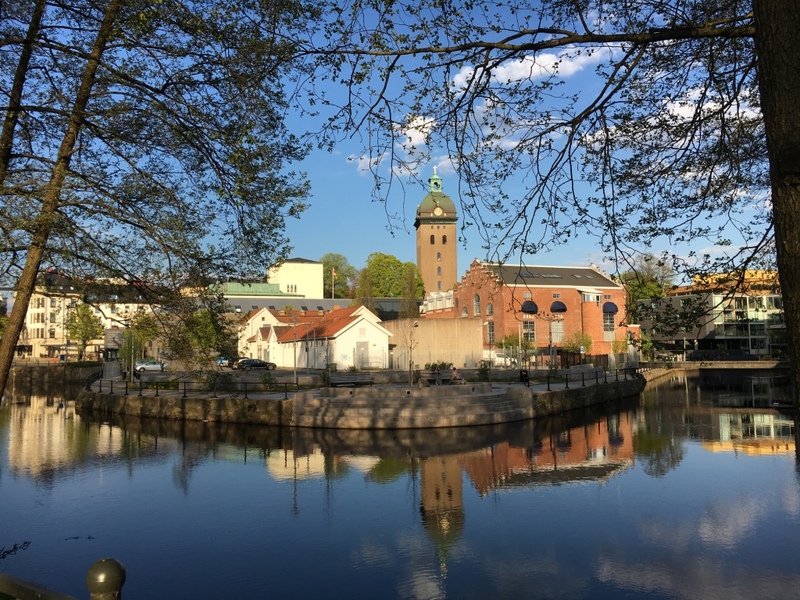 I was really lucky to find colleagues in Borås that I immediately felt so comfortable with, because as I also explained in my first blog here, the research project that started in April 2016 would find itself a little outside of my comfort zone. As a scholar of Literature with a focus on (digital) scholarly editing, I now found myself working in a department of Library and Information Science. 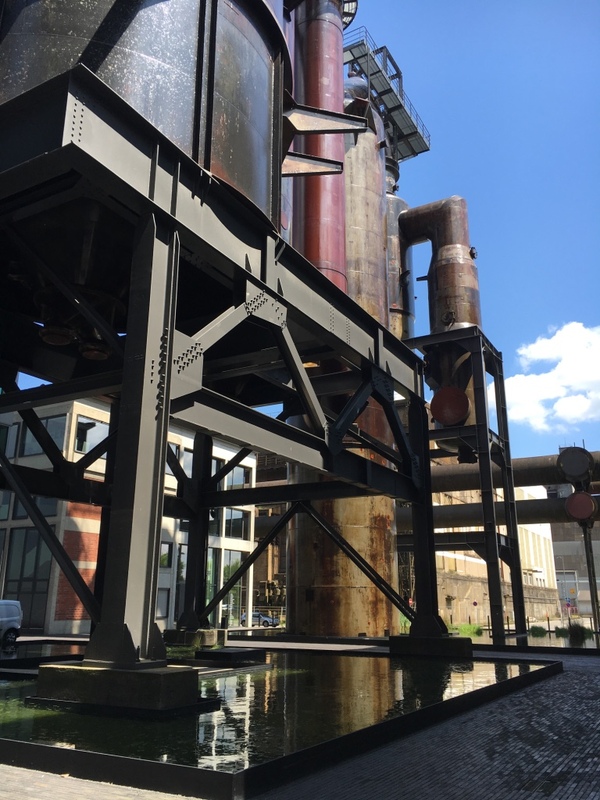 Granted, the focus would still be on editions, but the approach and specific subject matter would be quite different from what I was used to in Antwerp. So I was going to need all the help I could get – help that my colleagues would generously and abundantly supply. 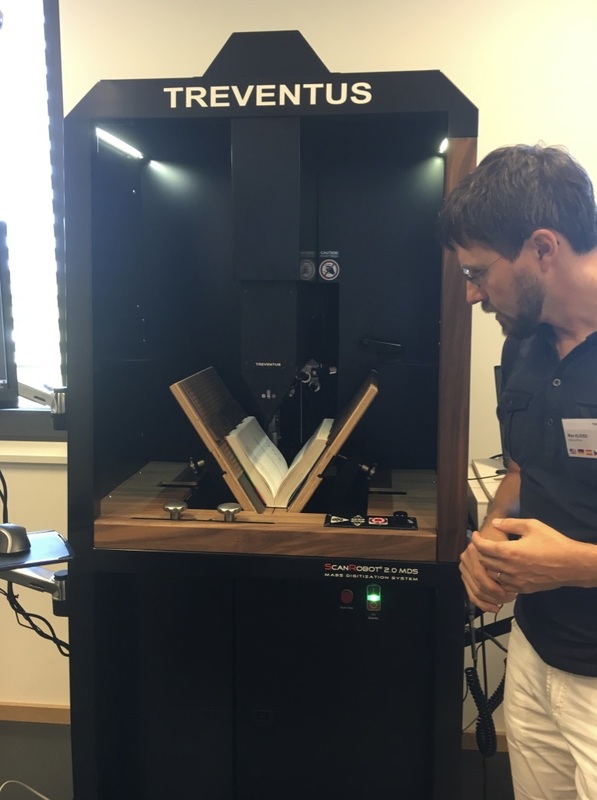 Automatic book scanner on display at DHBenelux 2016. A similar setup can be found in Stockholm National Library. So far, my focus had been on texts. Deciding which versions of a given literary work were or weren’t authoritative, and how to present them in a (digital) scholarly edition to be used and analysed by a future generation of scholars. Figuring out what the work’s extant documents tell us about the way the text has been transmitted (and transformed) over time, and how we are inadvertently transforming the work ourselves by transmitting it once again in the form of a DSE. How we can encourage our reader to form her own informed but critical reading of the texts we are putting on display. Still in the same field, my research in Borås would of course share a lot of common ground with my previous work, but the focus would be different. Instead of texts, it centred around images: the digital representations of the analog source materials we are editing. Images that are taking a more and more prominent role in the DSE – both for its editors (who will often use digital reproductions for their research) and for its readers (who will only be confronted with the reproductions through the DSE). And while these reproductions both retain and discard a lot of information, they are usually still taken at face value. This seems strange for a research field that is built on the careful consideration of all the nuances that may influence the relation between an original source and its scholarly edition. Because here too of course, questions of authority, of transmission, of transformation, of (re)presentation, and of criticism are crucial to the endeavour. If there is no account of the digitization process these documents underwent, and how precisely their digital avatars relate to the originals, how can we hold the editor accountable for the transcriptions and other edited texts she presents us? The National Library of Sweden in Stockholm. These questions called for a critical assessment of digitization practices, a process that I set out to investigate in four major European memory institutions: the national libraries of Sweden (in Stockholm), Denmark (in Copenhagen), Belgium (in Brussels), and The Netherlands (in The Hague). These memory institutions were chosen because as national libraries they have comparable sizes and aims. And as they are located in two micro-communities within Europe (Scandinavia and the BeNeLux) they would also have an interesting tension between cultural community and independence in common. 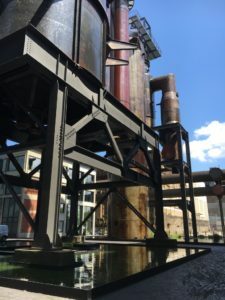 By bringing these four case studies together, I wanted to examine how similar or different their approaches to digitization were, how aware they were of each other’s efforts in the area – how they communicate their standards internationally. A blueprint for digitization processes. 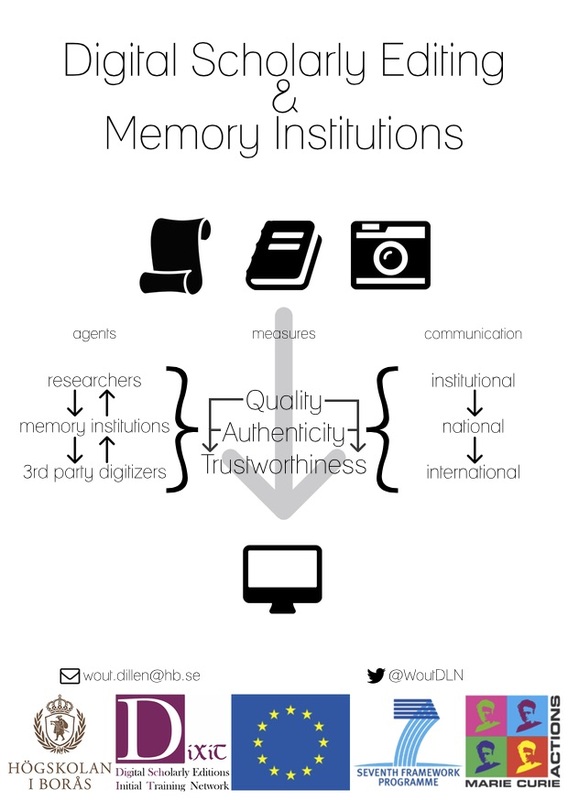 My research – which involved a series of observation studies, interviews, document studies, and card sorting exercises – confirmed the project’s hypothesis that the digitization workflows and standards that were deployed at the individual memory institutions were constructed through a process of negotiation with many different parties, which each had a different stake in the resulting digitized reproduction. And so I devised a blueprint of the digitization process that I could use to map these agents and their interactions onto (see figure). 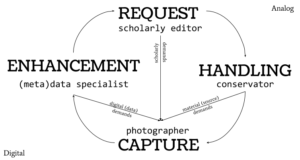 A scholarly editor needs a certain document or series of documents to be digitized for the edition, and puts in the request at the memory institution. The institution’s conservators fetch, assess, and prepare the documents, and deliver them to the photographer. The photographer ‘captures’ the document, creating a digital duplicate of the analog document. Afterwards, the digital object is postprocessed and further enhanced with metadata, OCR if necessary, more duplicates with different technical requirements can also be made for preservation purposes, etc. And then the digital object is delivered back to the scholarly editor in the form of a data package. And at this point, the digitization process can recommence if further documents need to be digitized, or if the data package does not meet the editor’s expectations. 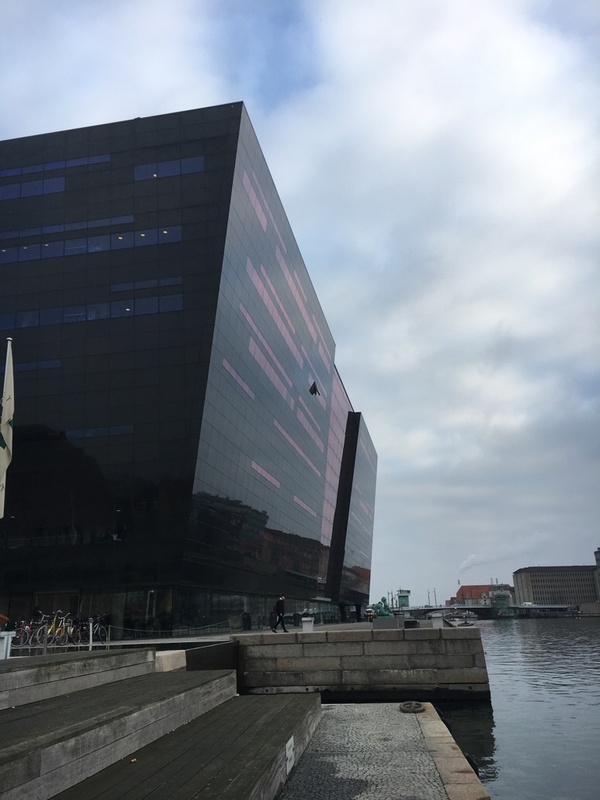 The ‘Black Diamond’ – Denmark’s Royal Library in Copenhagen. 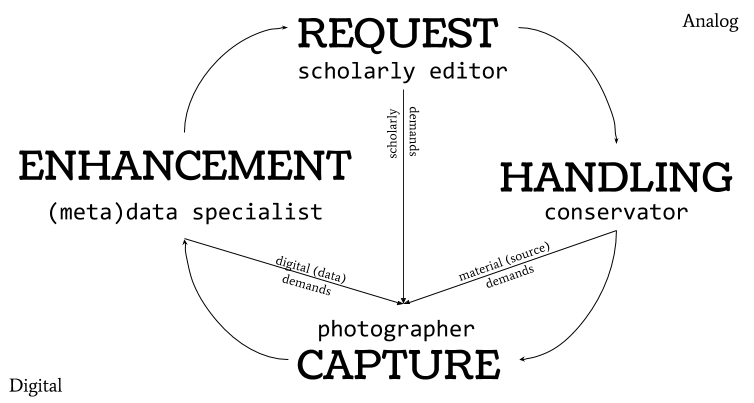 Of course, as a blueprint, this is a highly simplified schema, that represents a more or less ideal workflow written from a scholarly editor’s perspective. And the research got all the more interesting as more and more of these generalized assumptions were problematized. Which happened all over. It was especially interesting to see, for example, how different national libraries interacted differently with the third party companies that they sometimes employed to outsource different aspects of the digitization process. It became obvious that since these negotiations have a significant impact on (the institutions’ control over) the standard that are used, and an improved understanding of each other’ practices (and third party agreements) would be beneficial to everyone involved. These are issues that I am taking with me and hope I’ll be able to continue to explore now that my fellowship has ended. View from (near?) Pic St. Michel (Vercors), part of an extraordinary hike organized by Elena Pierazzo at the end of the DiXiT Ethics event in Grenoble. 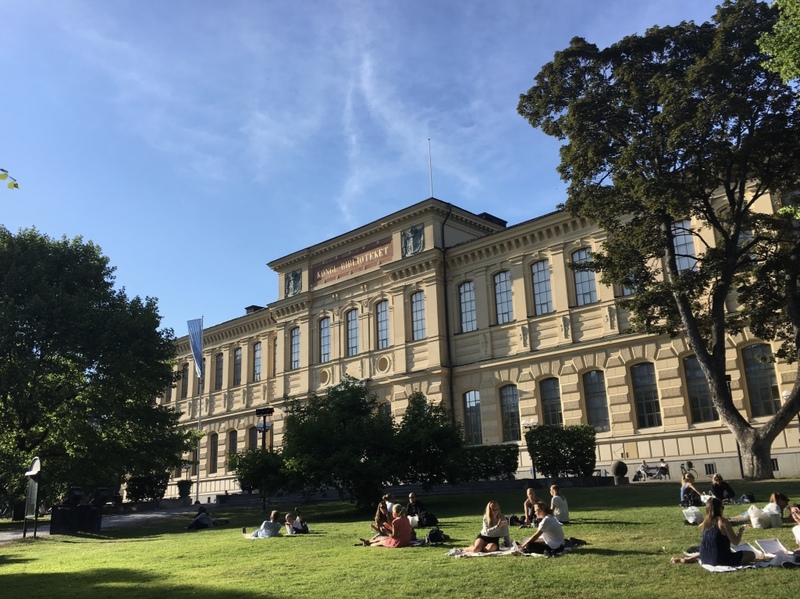 Besides these four secondments at different European National Libraries, DiXiT’s generous funding scheme also provided its fellows with a lot of opportunities to enhance their training, and develop their skillset – an opportunity that I tried to take with both hands. This way, the network allowed me to take part in DiXiT Convention 2 (Cologne, paper); the DiXiT Ethics Training Event (Grenoble); Beckett and Modernism (Antwerp); DH Benelux 2017 (Luxembourg, poster); DH 2016 (Krakow, paper); Digital Scholarly Editions as Interfaces (Graz, paper); DiXiT Convention 3 / ESTS 2016 (Antwerp, paper); ASIS&T Annual Meeting 2016 (Copenhagen); DARIAH EU Annual Meeting 2016 (Ghent, lightning talk+demo); DH Nordic 2017 (Gothenburg); the DiXiT Farewell Event (Crete); and DH 2017 (Montréal, panel) – alongside which I was happy to present a few invited talks and guest lectures as well, e.g. at the IDE/ZIM Digitale Edition – Grundlagen Summer School (Graz, slides). And I was also grateful that the DiXiT network provided us with plenty of opportunities to collaborate with each other – be it by finding new collaborators for the LexiconSE; contributing to the DiXiT/IDE volume on DSE as interfaces; writing a blogpost for Fontegaia; writing an article on the Lexicon together with Elena Spadini and Monica Zanardo; contributing to and co-editing a volume with DiXiT proceedings; writing a RIDE review on Litteraturbanken together with Mats; writing a conference report for DiXiT 3 / ESTS 2016 together with Dirk for the forthcoming issue of Editio; or devising a survey on DSEs together. Wining and dining at the DiXiT / IDE / ZIM Summer School ‘Buschenschank’ (2015). But I think what made the DiXiT network especially successful, was that it allowed others to profit from its funding scheme as well. At Borås, for instance, we decided to hand out bursaries for early career researchers to attend DH Nordic 2017 and the Digital Humanities at Oxford Summer School (DHOxSS 2017). And as the co-organizer of some of DiXiT’s events myself, I was happy that DiXiT allowed us to keep the Demystifying Digitisation workshop in Antwerp free of charge, the registration costs of DiXiT 3 / ESTS 2016 acceptably low (or free for our bursaries). Having been a recipient of one of these bursaries for the DiXiT / IDE / ZIM Summer School of Advanced TEI/XML Technologies for Digital Scholarly Editions myself while I was still finishing my Ph.D, I know how much of a difference they can make. Now, six months later, I’m back in Antwerp; a familiar setting where I’m working as the coordinator of the Antwerp division of DARIAH-VL. If it didn’t help already, I’m sure that when I need to apply for the next job, the international experience of a Marie Curie fellowship will be an asset on my resume. And in the meantime I’m pleased that I found an interesting academic job that I could start right after my DiXiT fellowship ended. But I do miss my DiXiT colleagues already. Thankfully Europe isn’t such a big place after all.